Founded in 1999 by a pharmacist as a career resource for the pharmacy community. 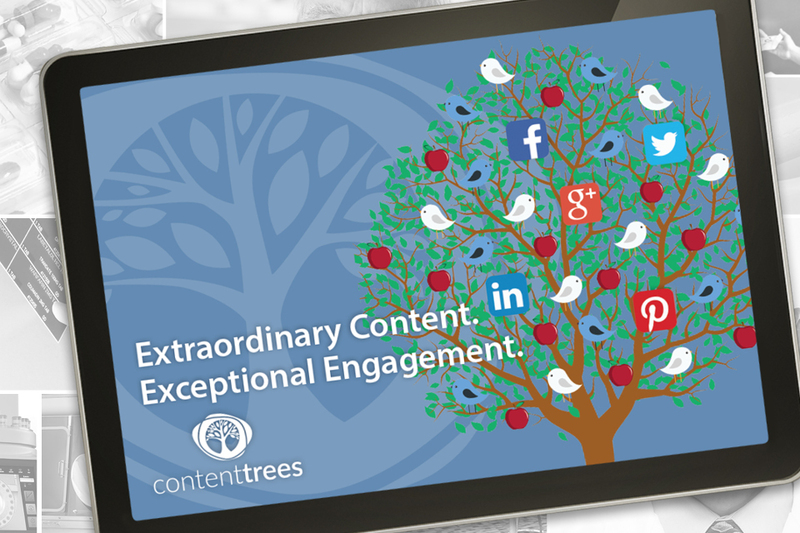 13 brands spanning print, digital, content creation, SaaS, and events. 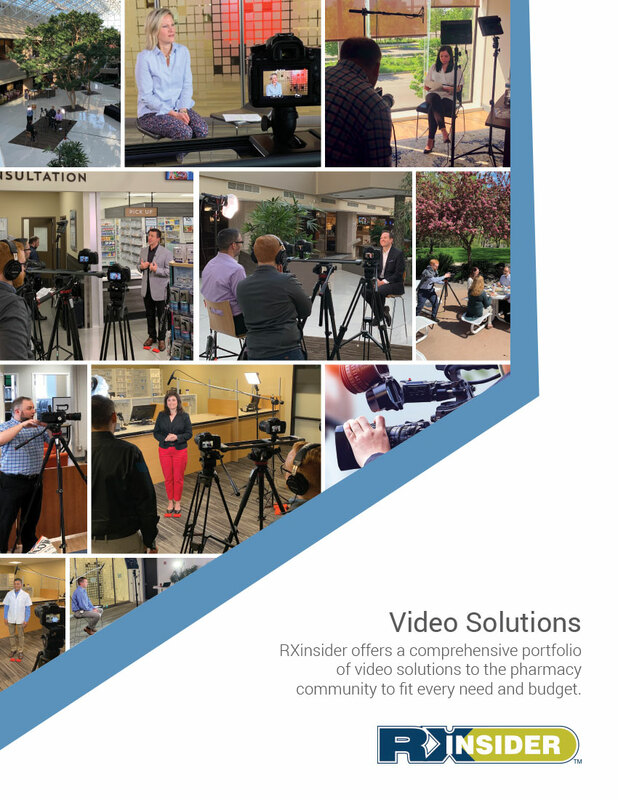 4 services spanning video production, case study writing, social content, and SaaS platforms. 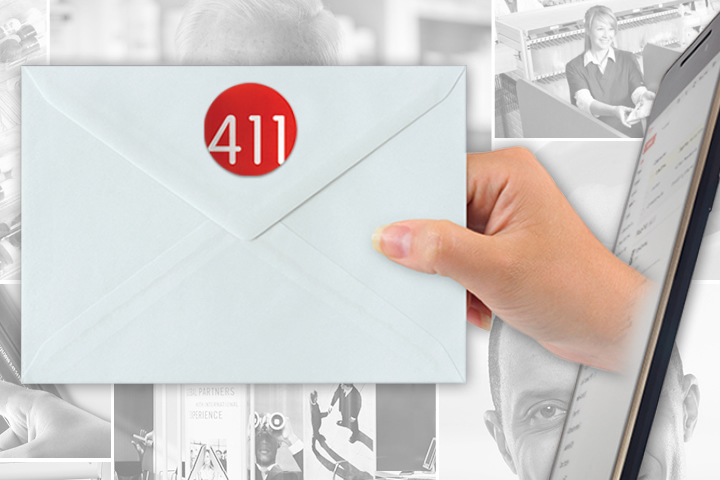 11 pharmacy trade association partnerships spanning every practice setting. 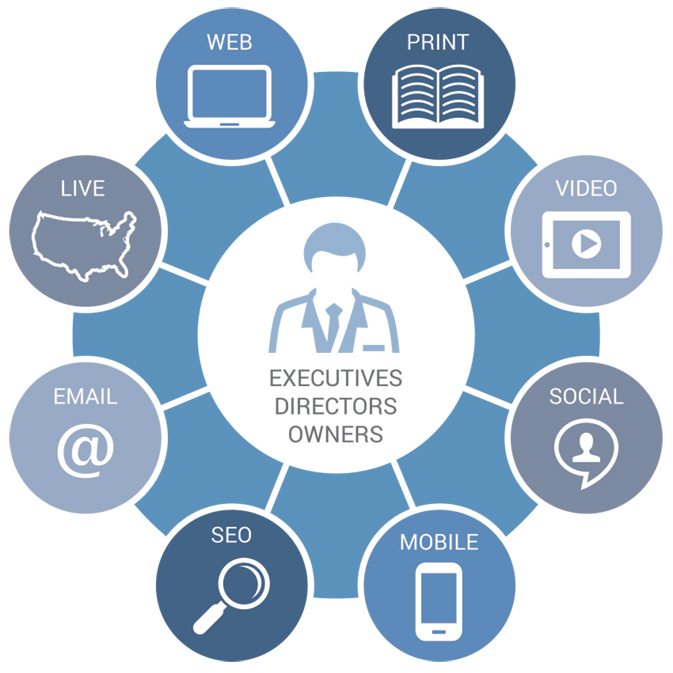 225+ annual B2B clients including 12 Fortune100 companies. 5 proprietary digital destinations and SaaS technologies. 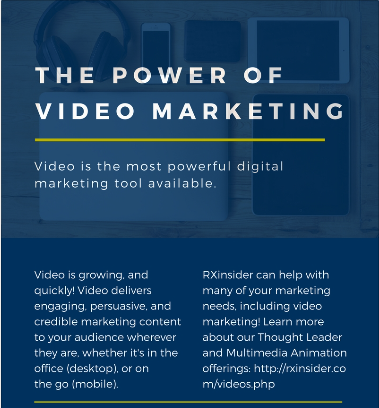 1,800+ videos, 300+ Virtual Trade Show booths, 1,000+ 20Ways Profiles. 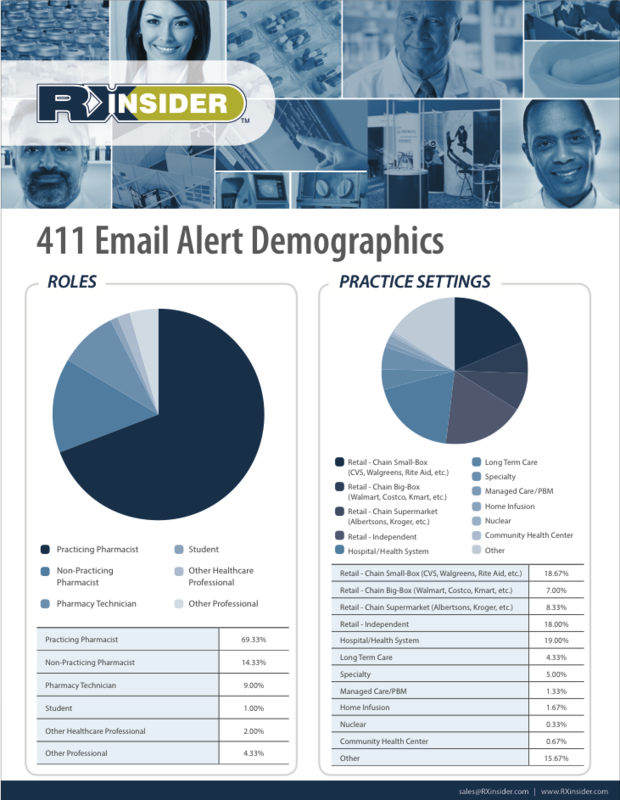 18,000+ independent owners, 6,500+ hospital directors, 2,500+ chain executives. The annual buyer’s guide for pharmacy managers. Distributed in print and electronic formats. 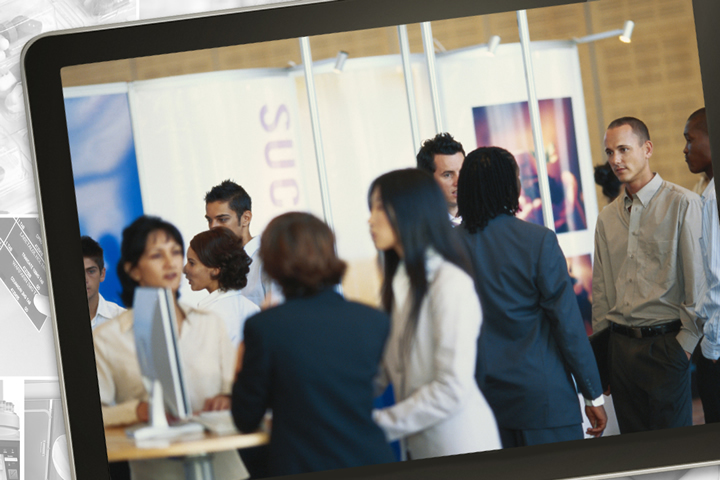 Pharmacy's 24/7 trade show, exhibiting industry leaders and their offerings throughout 80+ aisles. 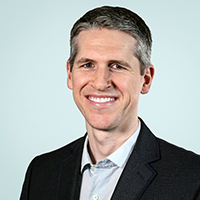 A quarterly publication focused on improving patient care and cost containment. Distributed in print and electronic formats. 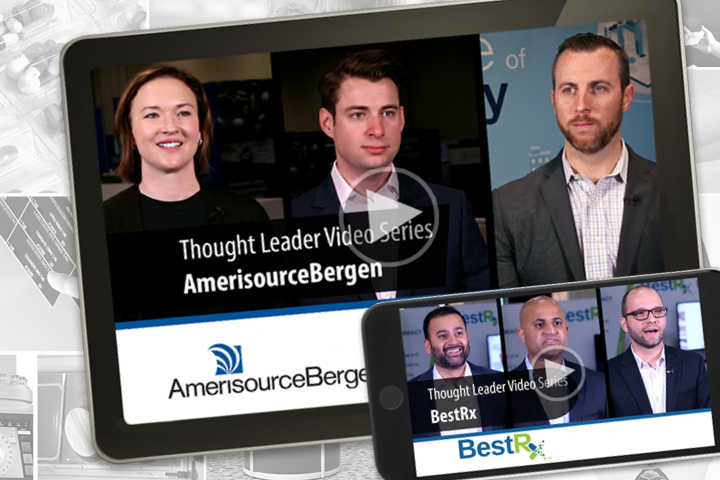 Informative video series comprised of multiple interviews with thought leaders on topical subjects affecting the pharmacy sector. Written. Produced. Published. 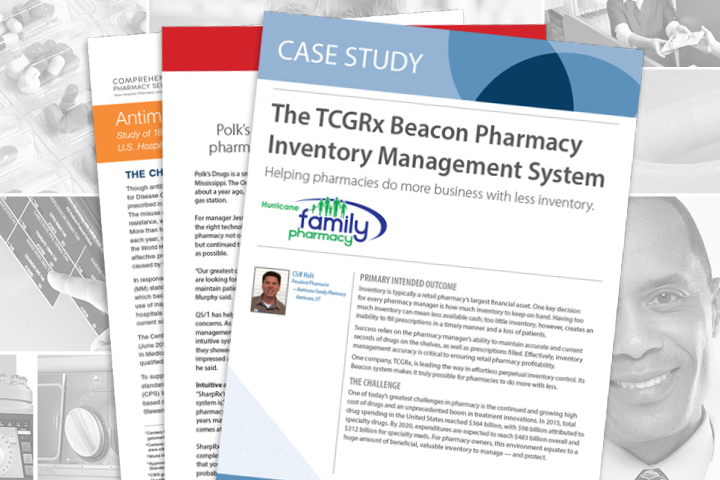 Case study development and promotion to targeted practice settings throughout the pharmacy market. 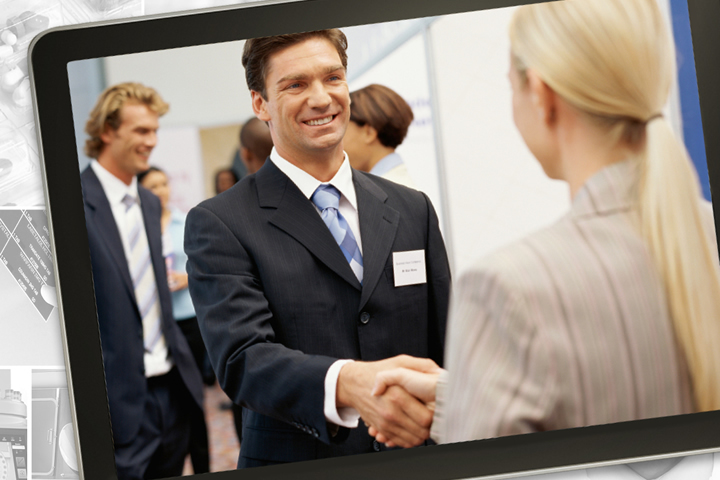 Pharmacy's 24/7 Job EXPO exhibiting leading employers and their career opportunities throughout every practice setting. 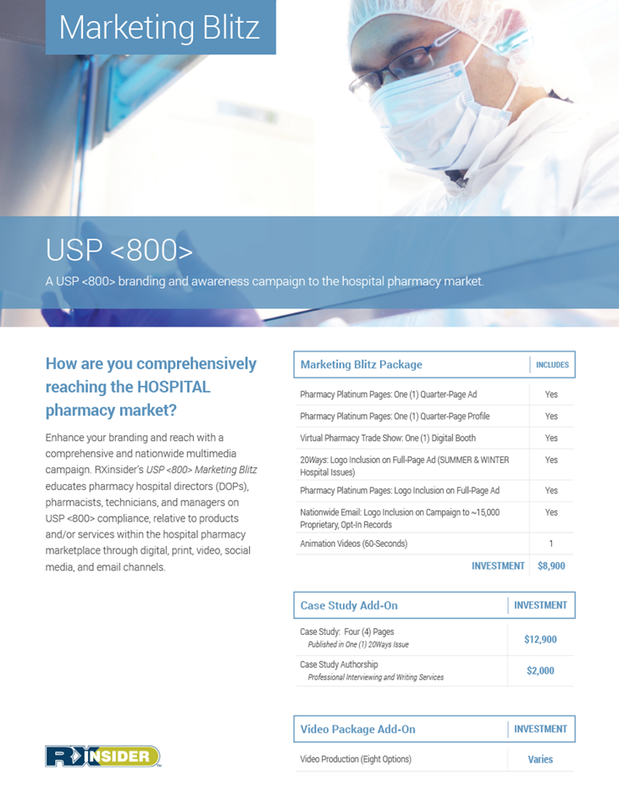 Pharmacy-specific daily content feeds to maximize audience engagement throughout your social networks. 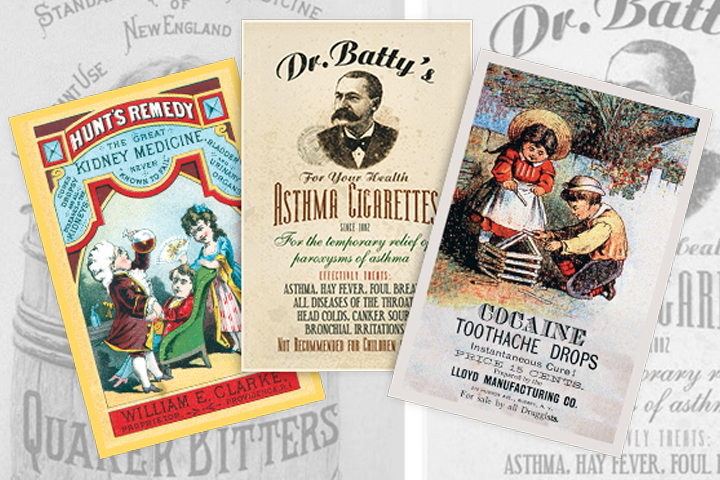 FREE vintage pharmacy image downloads in high-resolution for printing, sharing, and framing. 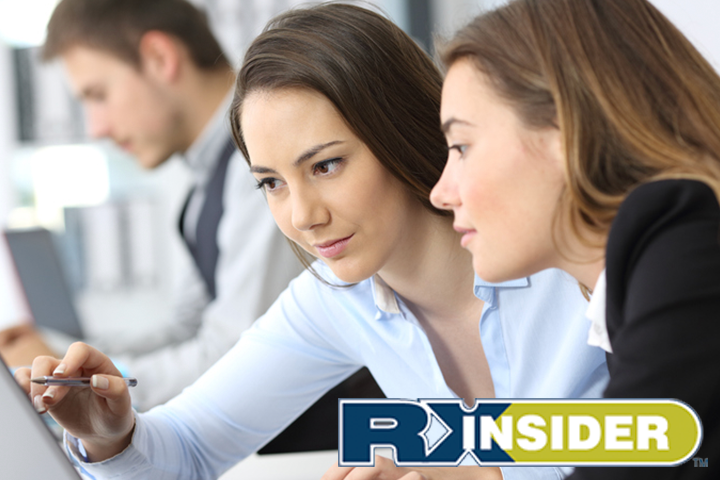 Visit the RXinsider Training Center to access hundreds of FREE short-courses on pharmacy technologies, pharmacy market subjects, companies, and professional skills. Direct email campaigns promoting product announcements, career opportunities, and continuing education activities. 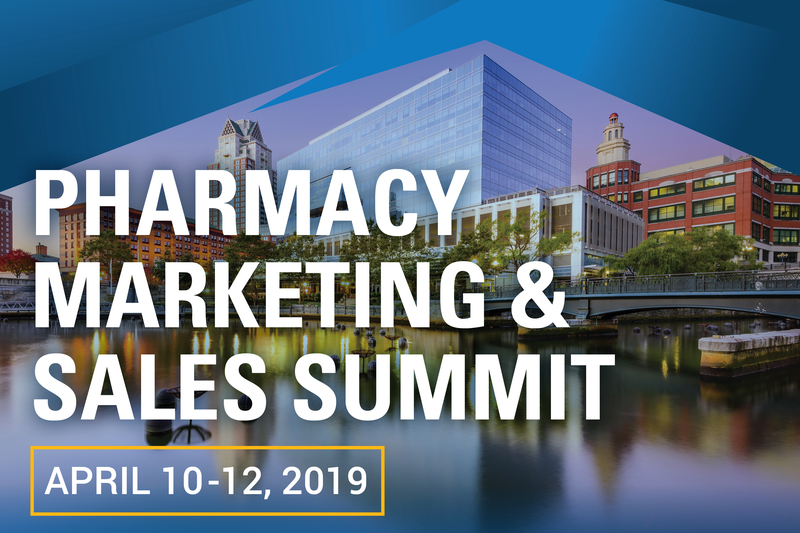 Spend three days in Providence, RI with some of the top leaders in the market as they address today’s most talked about topics in pharmacy marketing and sales. RXinsider’s exceptional client retention rate is directly attributed to the attentive customer service and quality results we provide. 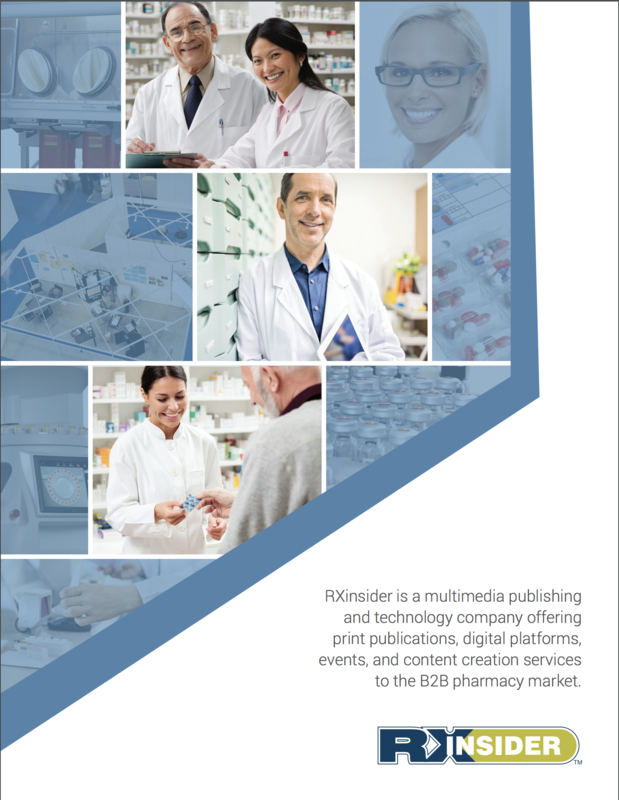 Referred to as the Pharmacy B2B ECOSYSTEM, RXinsider’s proprietary asset portfolio leverages major multimedia venues to deliver unique advertising opportunities throughout every pharmacy practice setting, and delivers measurable ROI to our advertisers. 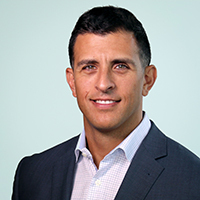 "RXinsider is the Cadillac of everything they do. I started a program from scratch and needed to get out the word quickly. 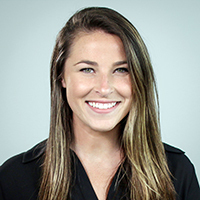 RXinsider gave me the communication ability I needed to succeed quickly." "Simply tremendous. 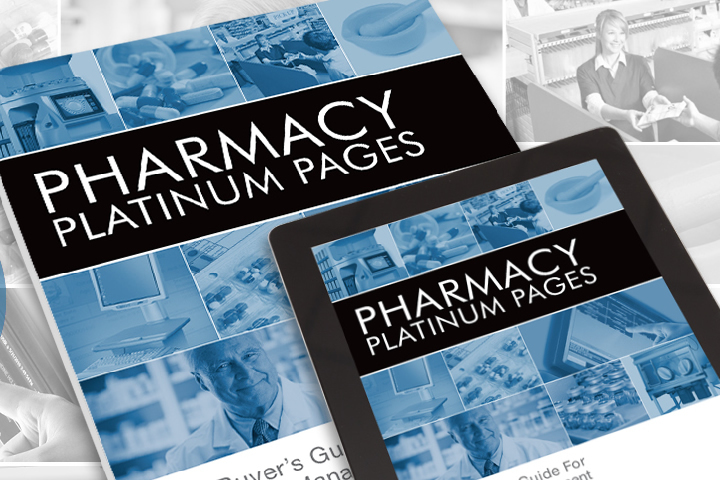 The content of the 20Ways and Pharmacy Platinum Pages is practical and I consider them to be the primary resource for discovering new ideas to implement in my pharmacy. 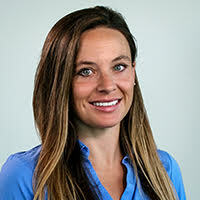 I look forward to every issue"
"Whenever I'm in the market to purchase new products for our pharmacy, I turn to RXinsider’s Virtual Pharmacy Trade Show due to its relevance and comprehensive nature." 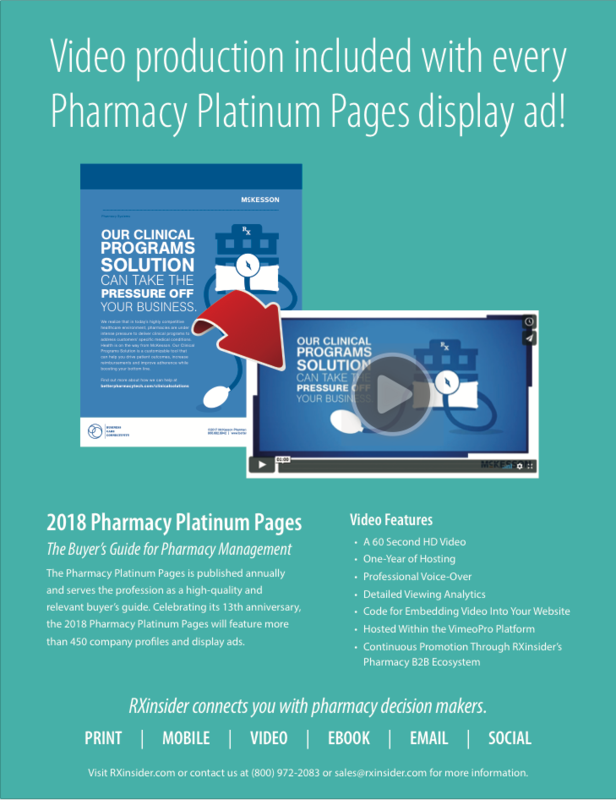 "I rely on the Pharmacy Platinum Pages Buyer's Guide and 20Ways to help me start the thinking process relative to solutions within LTC pharmacy. 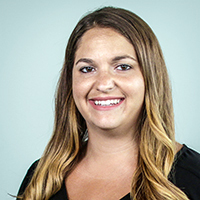 We get caught in our own little world and the Pharmacy Platinum Pages and 20Ways helps support my supplier purchasing decision needs." 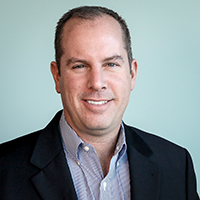 "I love RXinsider's Virtual Pharmacy Trade Show. 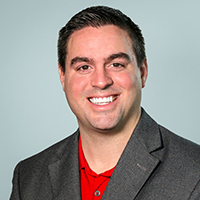 When I was opening up my first pharmacy, I spent dozens of hours over the course of six months in the Trade Show researching the exhibitors and the products they offered." 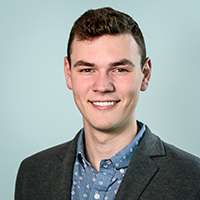 "I am really impressed with RXinsider. 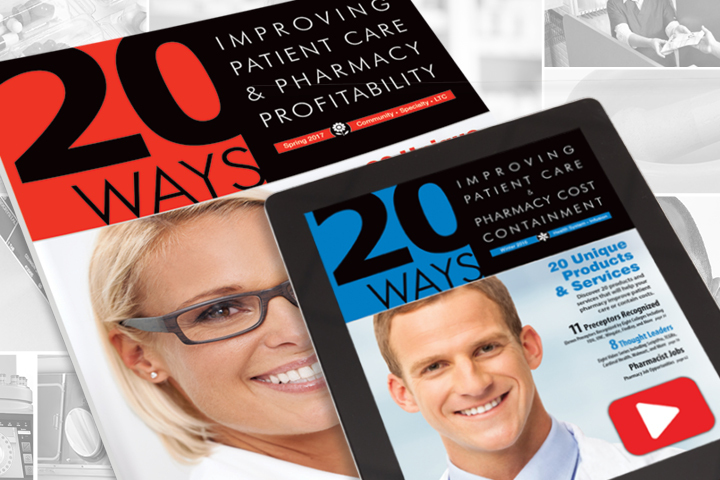 20Ways is really a slick presentation and by far better than anything else out there within the retail pharmacy market space." 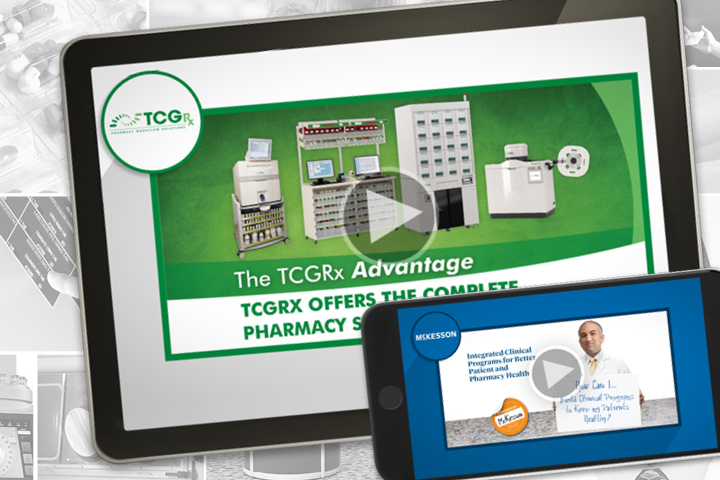 "Whenever I’m looking for a vendor, I go straight to the RXinsider Virtual Pharmacy Trade Show. It’s what I use for all my information and research."